Make hand washing more accessible in your school, hospital, restaurant, or office building with this touch-free, ADA compliant, foaming hand soap dispenser system! 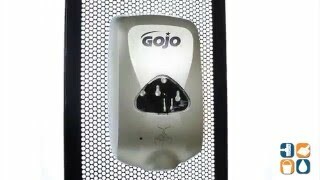 The Gojo TFX Dispenser offers touch-free, trouble-free performance, dispensing the perfect amount of soap without ever having to touch the dirty "push" button. Each amount is portion controlled to keep the dispenser and sink area clean. Made with a built in extra-large sight window that makes it easy to see when it’s time to refill. 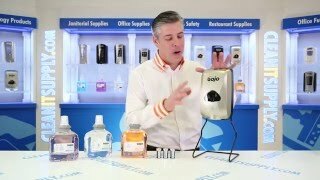 This Gojo hand soap dispenser is designed to hold Gojo TFX 1200-ml refills (sold separately). The TFX Gojo Hand Soap Dispenser mounts to wall with adhesive (included) or screws (not included). Requires three C alkaline batteries (not included). Used in a factory. works great!